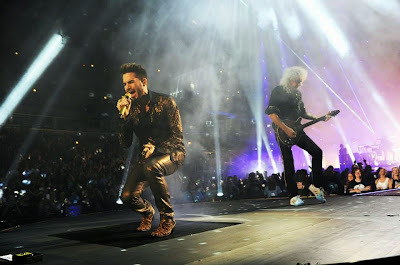 Queen + Adam Lambert are sharing video of their performance of the band’s 1976 classic, "Somebody To Love", presented live on The X Factor UK on Sunday. Queen recently released “Queen Forever”, a new compilation that presents a mix of the group’s hits and classic tracks, including three previously unreleased songs featuring Freddie Mercury. "Queen Forever" is available as a 20-track single CD and as an extended 36-track, two-CD set. Check out the tracklisting here.